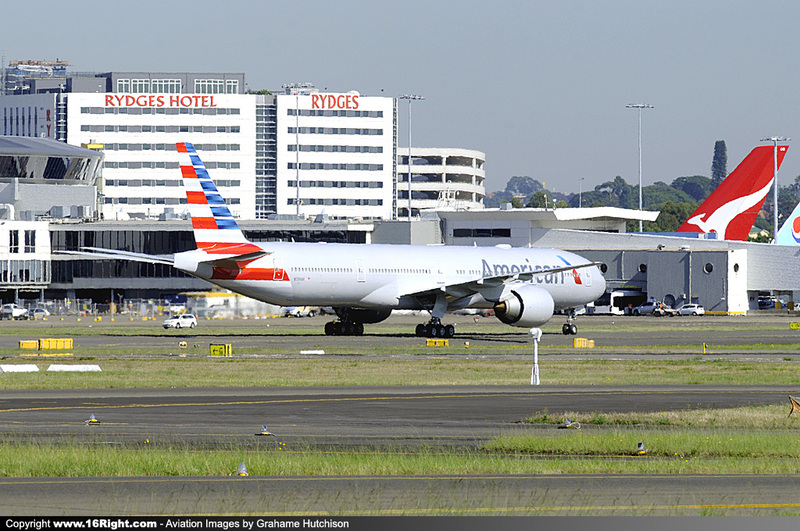 American Airlines will be resuming services to Australia next month, after a gap of 23 years, with the first service departing Los Angeles on 17th December 2015. 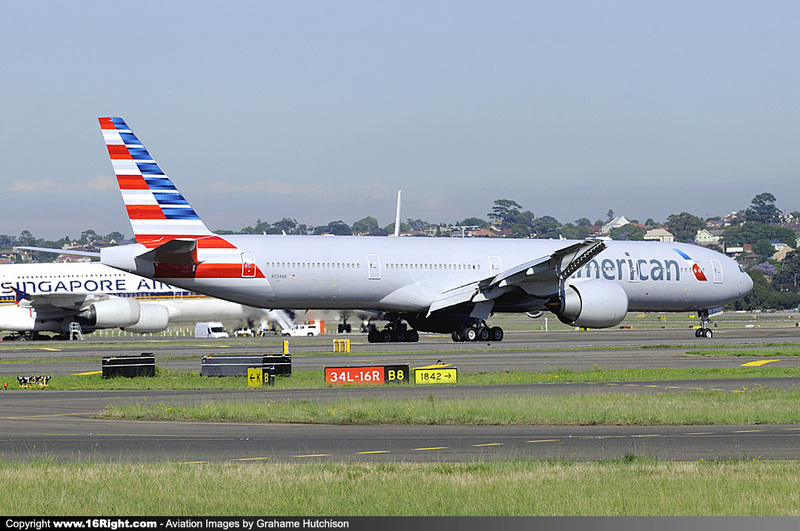 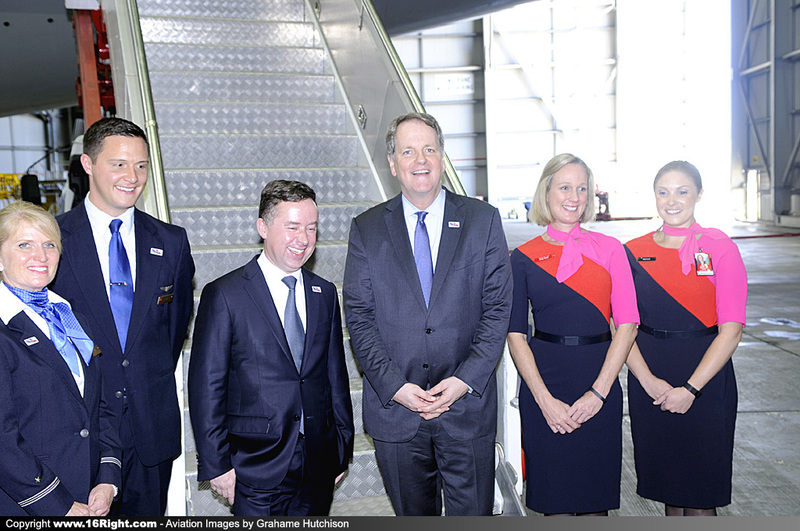 Today's one off service into Sydney from Hong Kong was a promotional event, allowing American to showcase the two week old Boeing B777-300ER (77W) configured with their latest First, Business, Main Cabin Extra, and Economy cabin product. 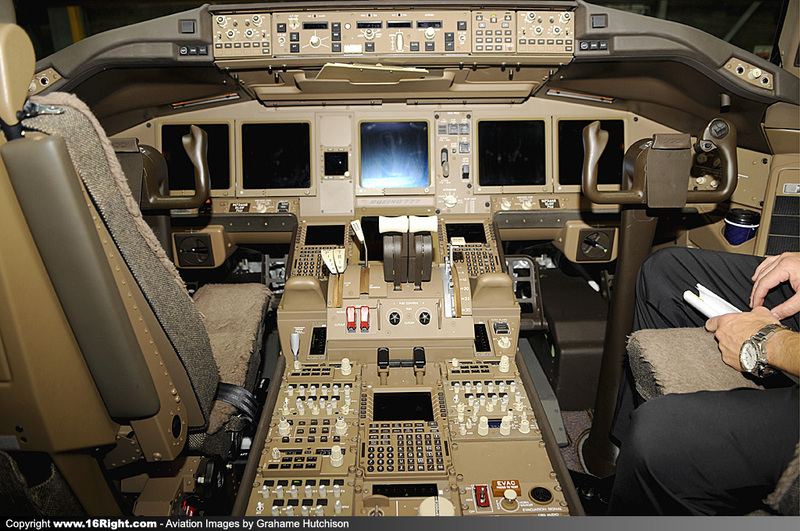 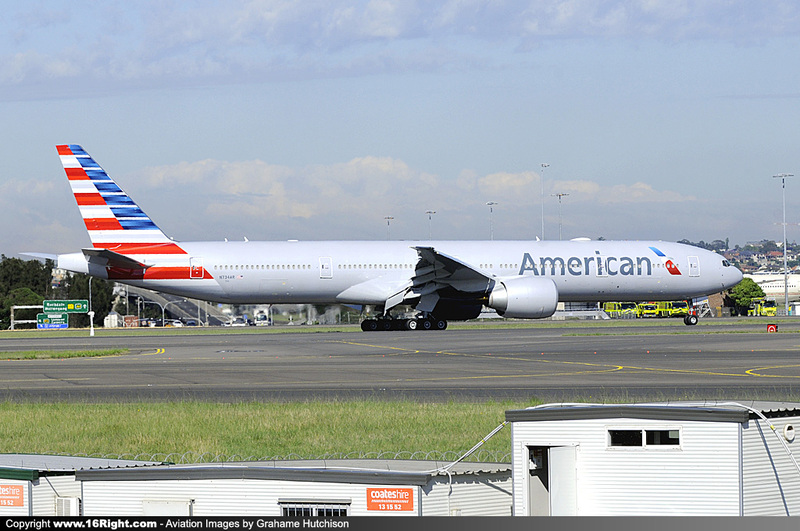 N734AR operated the service today, and will depart late in the evening back to Hong Kong. 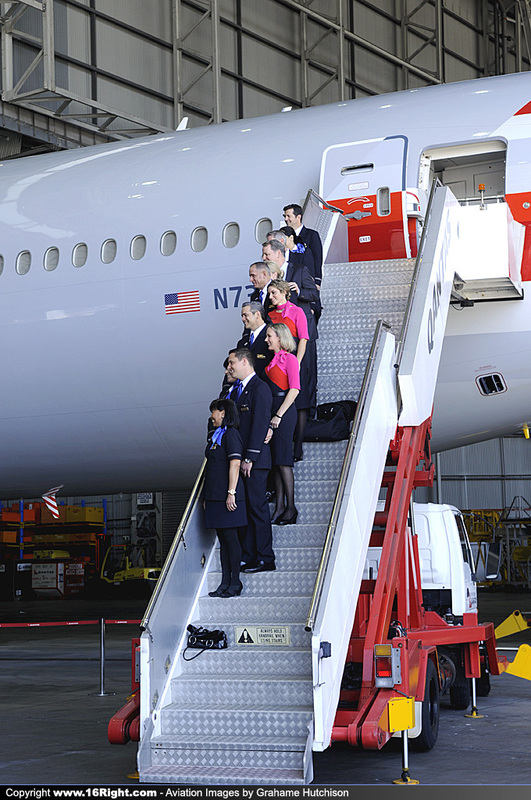 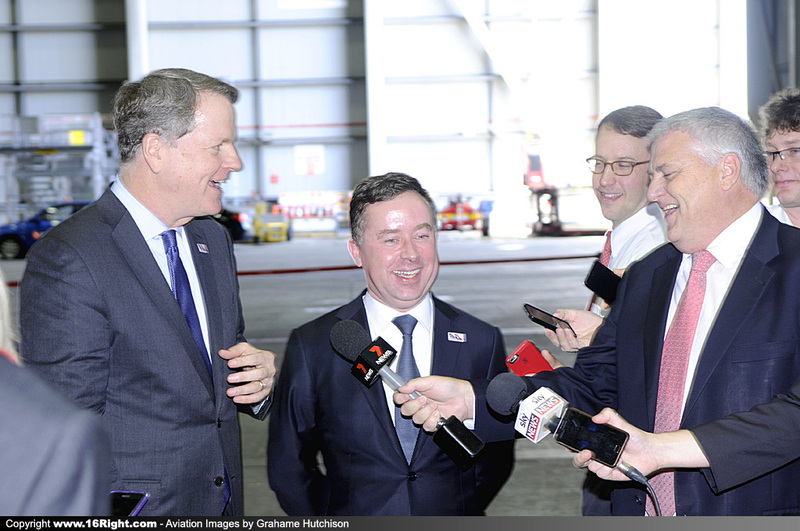 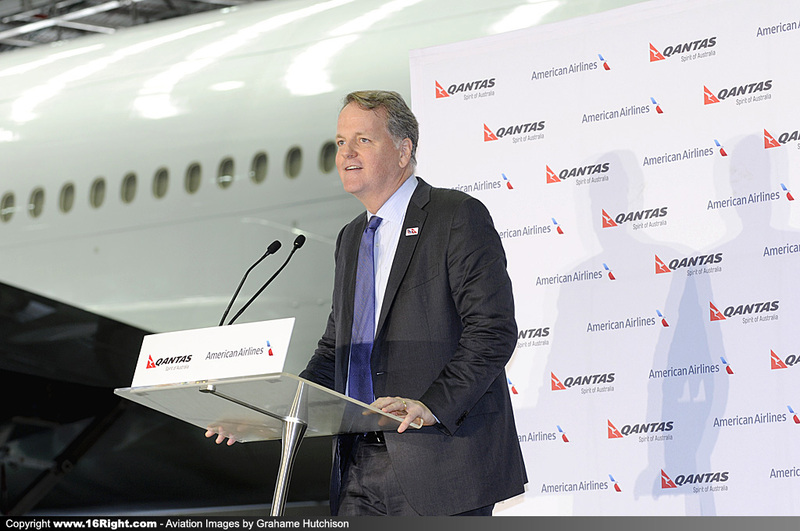 With American Airlines replacing some of the Qantas services on the Sydney-Los Angeles route, Qantas now has the aircraft to re-enter the Sydney to San Francisco market. 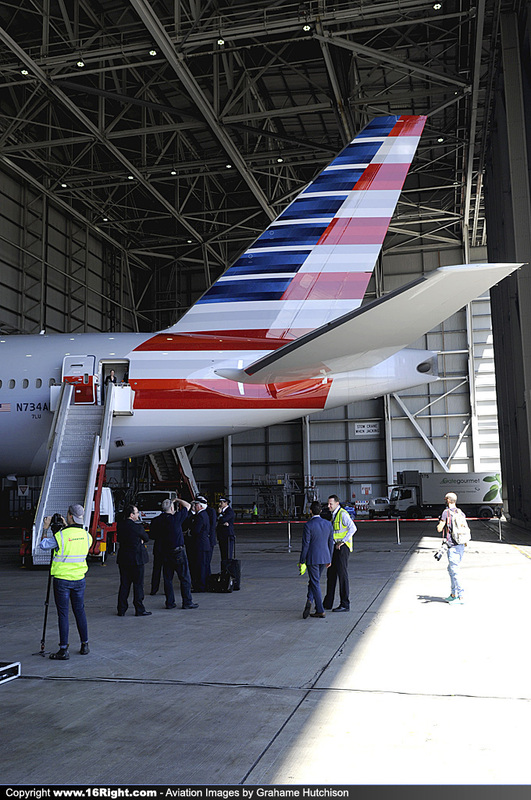 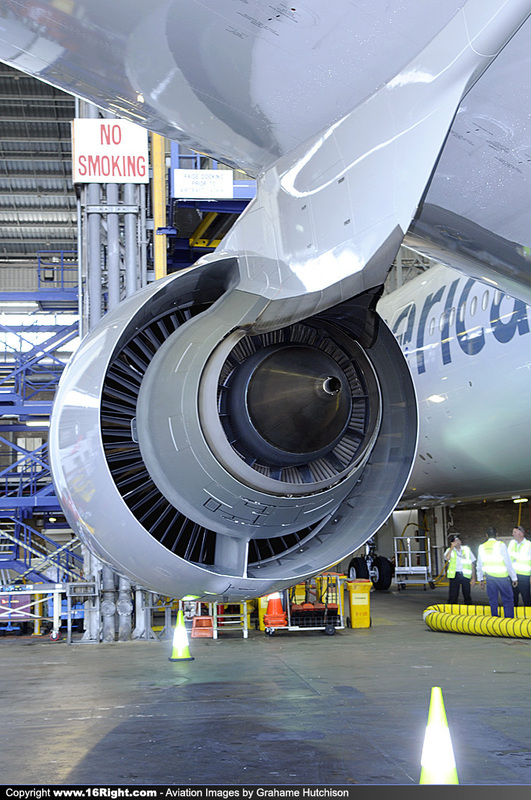 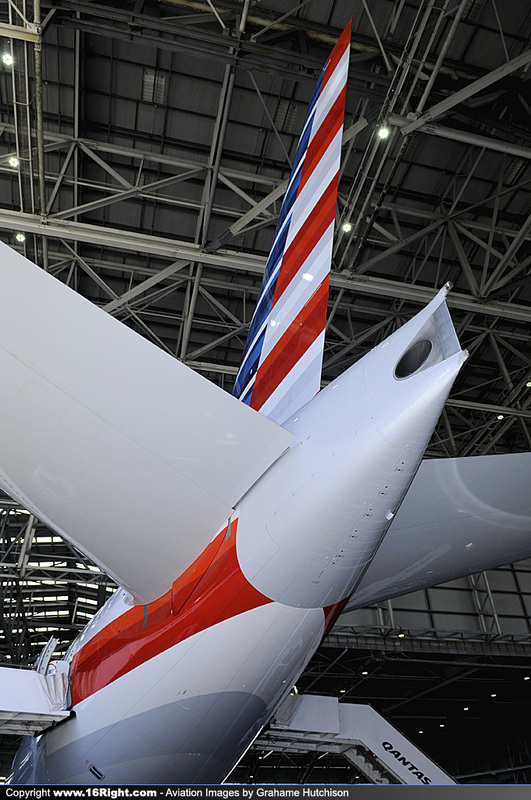 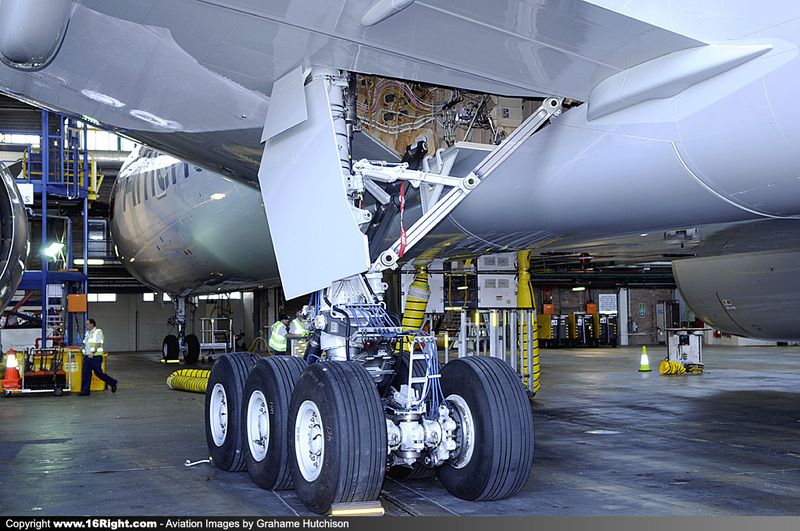 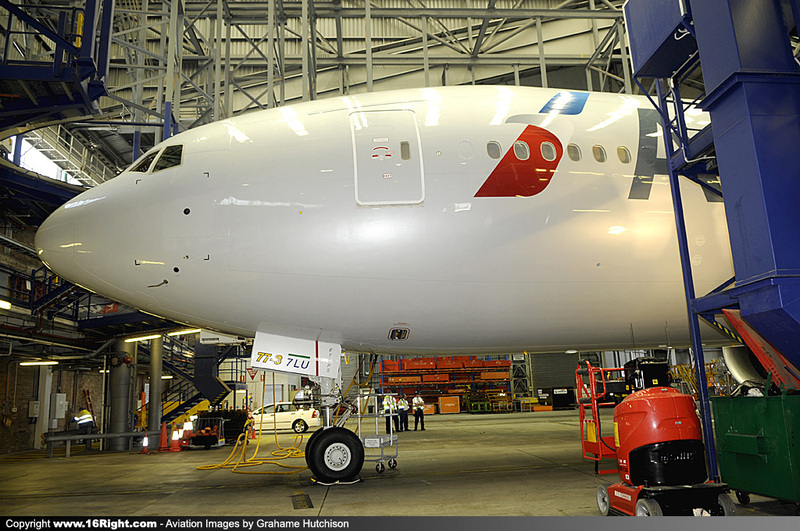 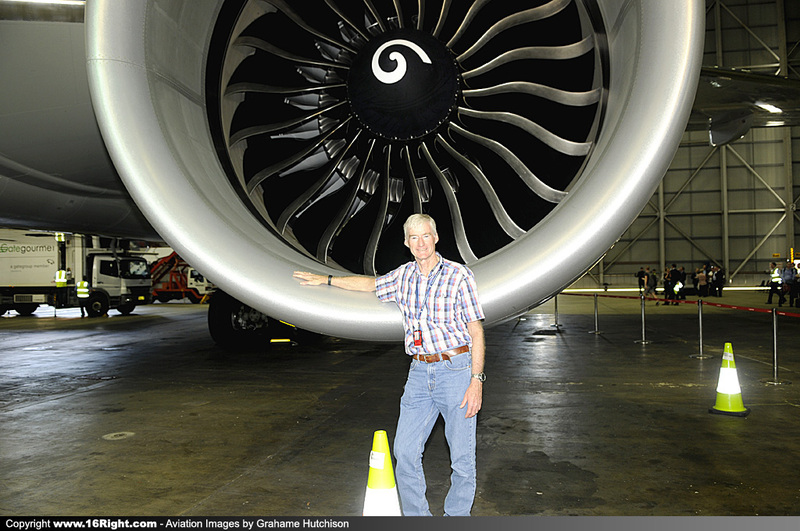 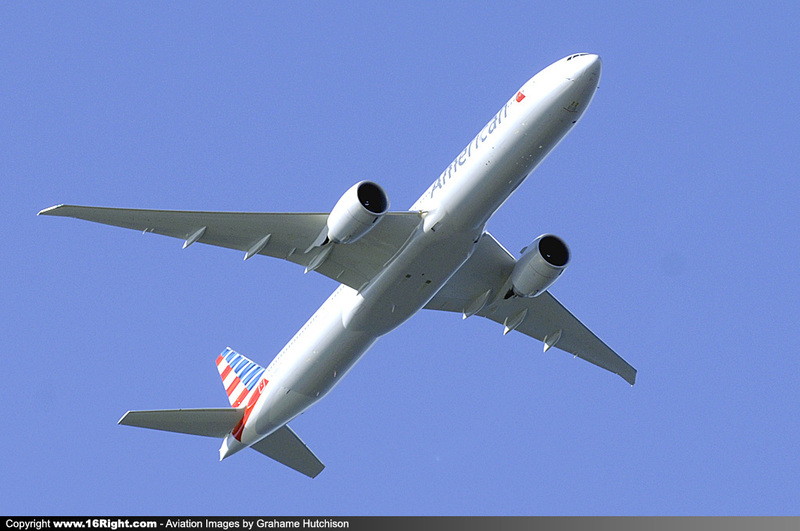 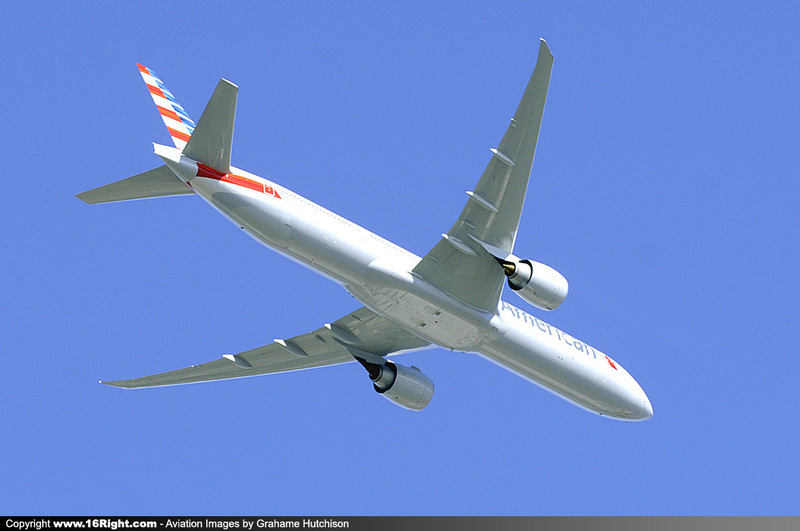 The Red, White and Blue of the American Airlines tail, and the exhaust from the APU, which provides ground power to the aircraft for airconditioning and engine start etc. 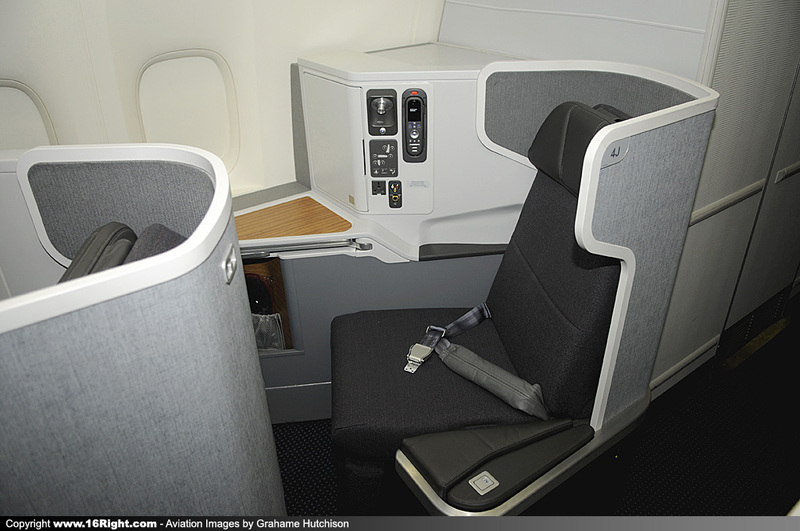 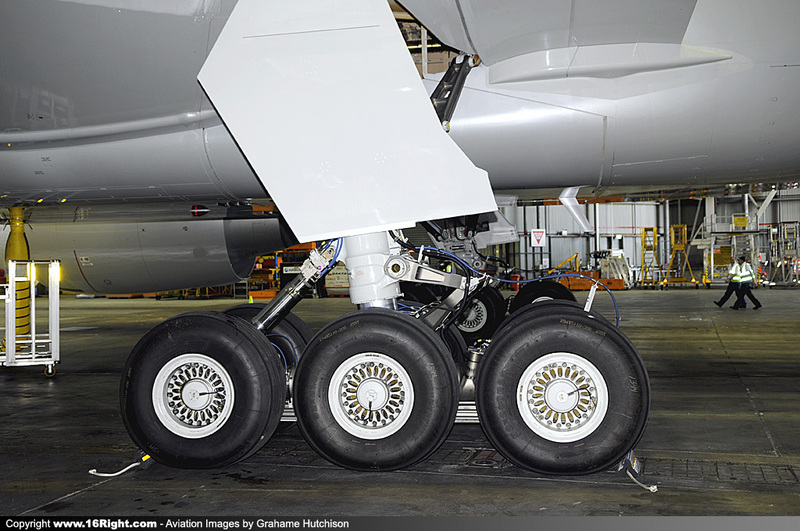 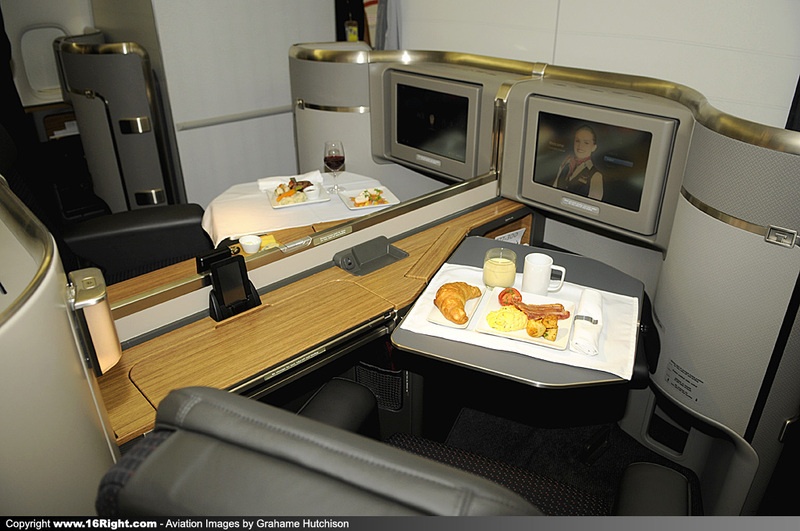 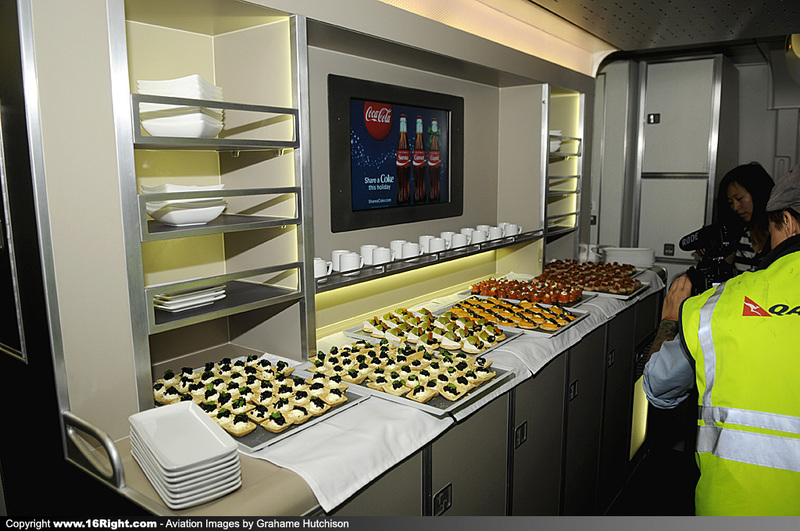 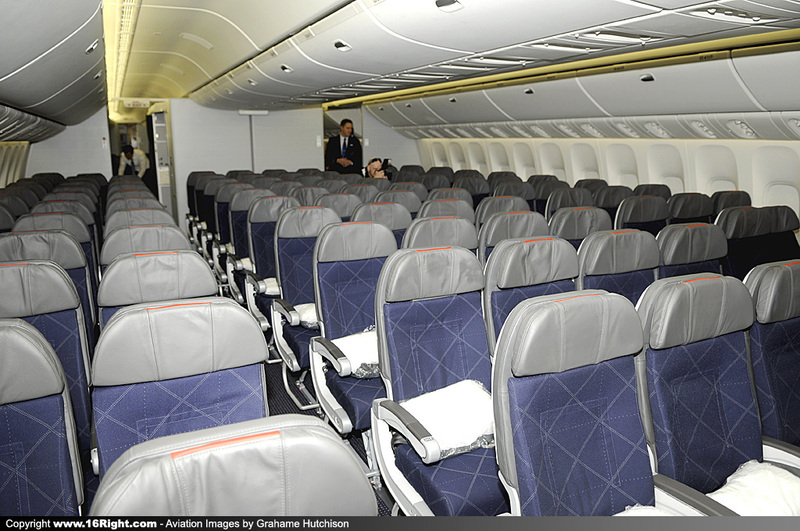 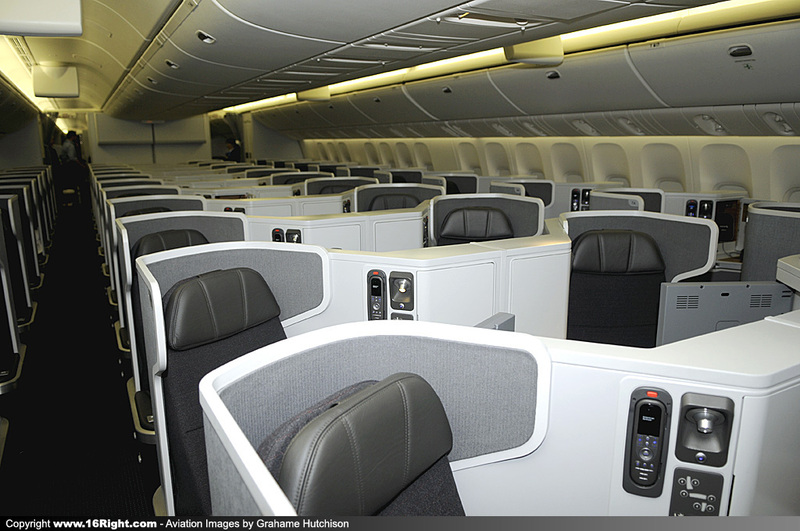 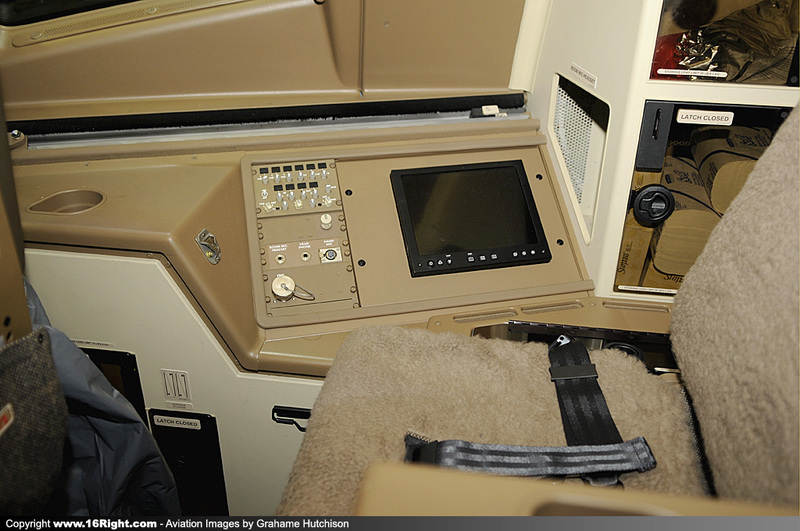 The Main Cabin Extra seating is a separate section at the front of the forward Economy Cabin, and has up to 6 inches more legroom. 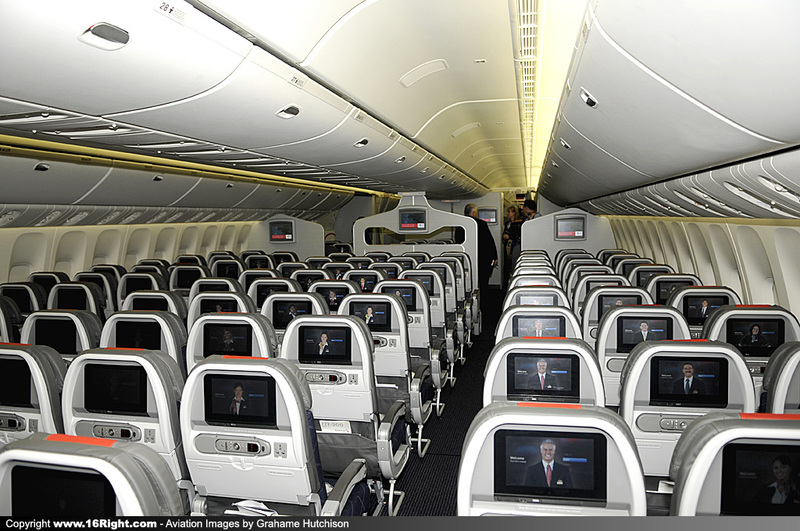 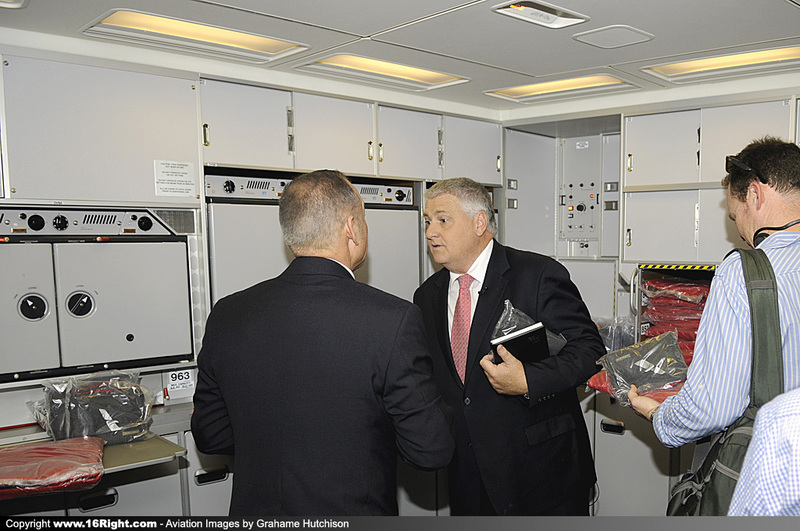 Main Cabin Extra also offers Group 1 boarding, so you can be among the first to board and store your bag, and when you reach your destination, an earlier exit off of the plane. 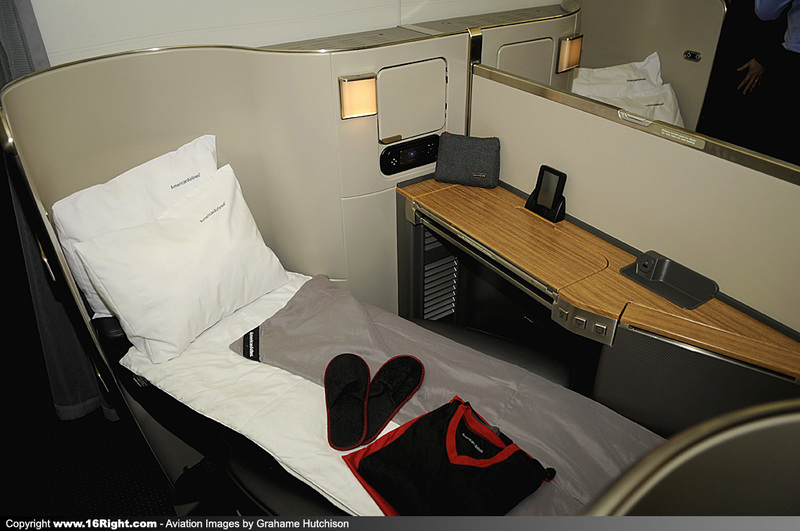 AAdvantage Gold and oneworld Ruby members may purchase Main Cabin Extra seats for 50% off, or enjoy complimentary access to available seats within 24 hours of departure.